Westfield, NJ, January 29, 2019–Westfield’s coworking and networking community Business Energy and Boxcar, New Jersey’s integrated commuting company, today announced a strategic partnership that enables area professionals to book local workspace through the Boxcar app. 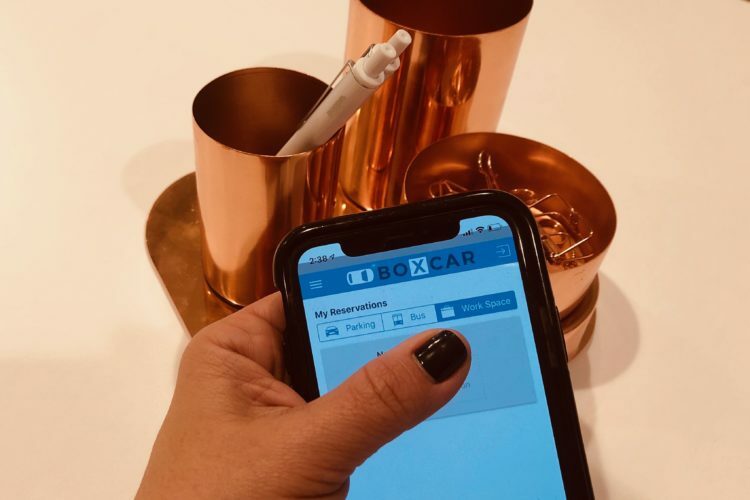 Business Energy’s flexible workstations and private conference room can now be reserved on a daily, weekly, or monthly basis via the Boxcar app, providing Boxcar customers with a convenient local alternative to their regular commute. Additional private office bookings will be available in March 2019.
Business Energy, co-founded by Steve Silverman and Beth & Matt Jarecki, opened its doors in October 2018. “We are thrilled to have a wonderful partner like Boxcar that shares our mission to provide a friendly, flexible, comfortable experience for our customers,” said Matt Jarecki. Business Energy inventory is available today on the Boxcar app, which can be downloaded from the Apple App Store or Google Play. Business Energy is a coworking and networking community for local business professionals. The modern Westfield, NJ, space is a place to work, host business meetings, and build connections with other local professionals. Located in downtown Westfield, Business Energy is steps from the train, post office, and all the shops and restaurants this vibrant town has to offer. The modern, bright, newly renovated space includes individual work stations, private offices, a professional conference room available with daily or monthly options, and a venue for regular networking events and educational gatherings. For more information about Business Energy and its services, visit http://www.yourbusinessenergy.com. BE Productive. BE Inspired. BE Close to Home. The ultimate in commuter convenience, Boxcar offers dependable and affordable solutions for the daily commuter. With Boxcar, commuters can park or ride, with daily parking alternatives at numerous downtown and commuter locations, and Midtown buses designed to make commutes to work as enjoyable as possible. From ad hoc parking to luxury commuter bus transport—and now booking quality workspace without ever leaving town—Boxcar is committed to helping New Jersey residents book the perfect commute. Learn more or make a reservation today at http://www.boxcarapp.com.